At some point, I started collecting magnets from places to which we travel. 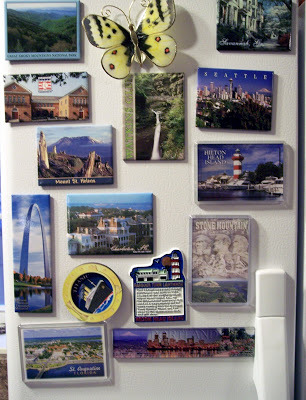 This is the portion of my refrigerator dedicated to our trips. I’m thankful we’ve had the opportunity to travel to many places + I look forward to trips we take in the future.